With the latest Oxygen OS Open Beta 7 update for the OnePlus 6, the Chinese giant has introduced a new SIM-free data service called OnePlus Roaming. 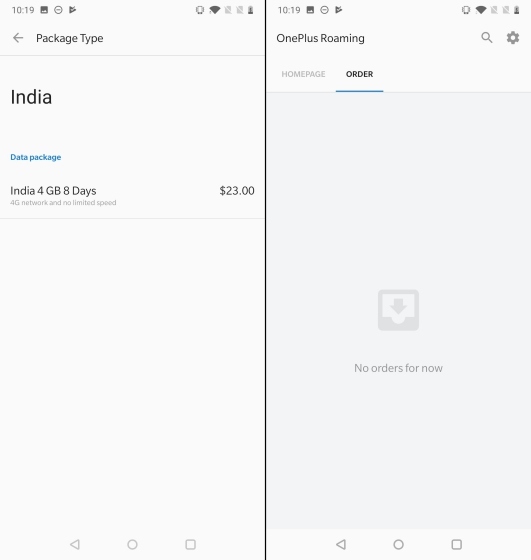 As per the official changelog from OnePlus Forums, this service will enable you to access cellular data without having to go through the pains of buying a local SIM card abroad. This reduces a lot of work as you can now simply pick a suitable data pack from the app’s settings. Anyone who has used Google’s Project Fi should be more than familiar with this. It is important to note that OnePlus Roaming only supports data services and not voice calling. You can rely on popular messaging apps, like WhatsApp, Telegram or even Facebook Messenger for voice calls over the internet. 1. 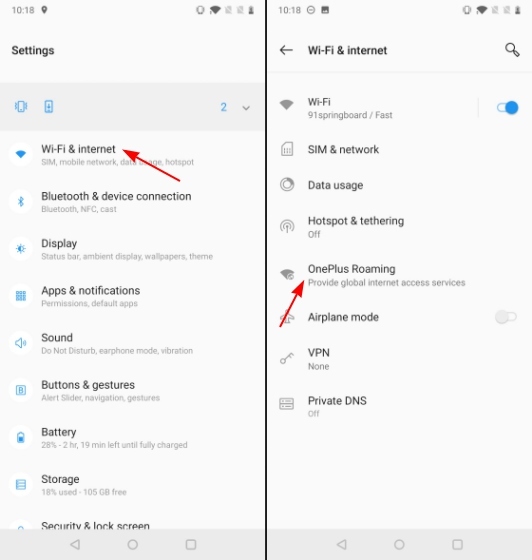 Navigate to “Settings > Wi-Fi & Internet” and select the OnePlus Roaming option. 2. Here you’ll first need to buy a data plan; just pick one and complete the payment. 3. Now when you land at the overseas destination, you’ll simply need to select the said package from the ordered list and enable it. It will really come in handy for frequent travelers and tourists. This feature is only on the OnePlus 6 for now, but should make its way to the OnePlus 6T soon. OnePlus has also added a new Video Enhancer feature for a better viewing experience while watching videos. We’ll be checking this out soon. Besides this, the Open Beta build also brings some UI and feature enhancements, including the ability to assign a specific SIM to contacts when using dual SIM, app drawer options under launcher settings and added vibration for call disconnection.